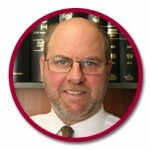 Joe Lederman is the managing principal of the firm FoodLegal. In a career that has spanned more than 30 years as a commercial lawyer, Joe Lederman established FoodLegal more than 10 years ago to become Australia's foremost authority in food law and policy and regulatory issues. He is also the executive publisher of the two leading online publications 'Australian Food News' and 'FoodLegal Bulletin'. For nearly 15 years, he has been the editor of the Food Law chapter of one of Australia's leading law texts Halsbury's Laws of Australia and was formerly Australia's first Adjunct Professor in Food Law at a leading university. Joe and his FoodLegal team of expert consultants lawyers and scientists have played an ongoing pivotal role as advisers for numerous food companies in Australia and global food groups in such key regulatory areas as compositional standards for new product development and nutritional and health claims in food marketing and negotiations with regulatory agencies. Joe has a longstanding interest in Aged Care especially in the Jewish community in Melbourne as a volunteer at a nursing home together with one of his daughters. He was also instrumental more than a decade ago in the establishment of an advocacy group working for elderly Jewish people in Melbourne and more recently has visited a leading facility in Israel and learned about best-practices and amenities for an integrated community of elderly persons in that country. Joe's technical expertise and commercial insight, a creative ability to facilitate technical innovations for food businesses, combined with his strong industry linkages and publishing networks, plus his passion for improving the nutrition of the elderly, will contribute to helping achieve successful outcomes for The Lantern Project. To read an article written in 2012 by Joe Lederman in FOODLEGAL BULLETIN dealing with his concerns about the poor regulatory environment in Australia for nutrition standards of the elderly, click here.